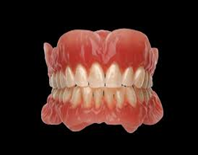 A partial denture is designed to replace one or several missing teeth, and it is Removable one, not fixed. This RPD is made of Acrylic, pink in color, light in weight and not very strong, has Stainless Steel Clasps attached. A cast metal base with clasping arms holds a pink plastic gum tissue and plastic or porcelain teeth. The metal base and clasps are silver in color. This Denture is very strong and ridge and little bit heavy in weight. with the natural movement of your mouth. So, no worries about slipping or moving around and irritating your mouth! Why Using the Clasps ? Using the clasps in PD are absolutely necessary, as they hold the partial in its place and giving it more support and retention. Depending on the individual circumstances, the PD Claps may or may not be visible when you talk or smile. Their location and design are dictated by the shape and position of your remaining teeth and which missing teeth will be replaced. We will show you where the clasps are to be located in your mouth. It is much more bulky than a bridge and is more difficult to wear initially, thats why you may have to adjust the way you speak to accommodate the extra bulk, but after a while, this will not be much of a problem. Depending on the position of the retaining clasps, they may be visible when you talk or smile. Plaque can accumulate on your denture and your gum tissue. Use a very soft toothbrush to gently brush your gums. Also brush your partial denture daily with a denture brush and cleanser. Always store your partial denture in water when you are not wearing it. Full dentures replace a full arch of missing teeth to restore chewing and facial appearance. A denture can be constructed to replace missing top teeth, missing bottom teeth, or both. 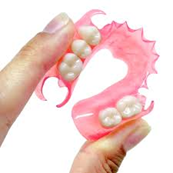 If you already have a denture or dentures, construction of new dentures is relatively easy. Your mouth is familiar with the feel of the denture. Preliminary impressions are made from which more exact impression trays are designed and fabricated. These trays are used to make a final master impression, from which the denture will be made. Expect to make several visits with us, as the dentures settle in and sore spots develop. Do not expect the new dentures to fit the same as your old ones. If you have recently had one or a few teeth extracted, or are having a full denture made after wearing a removable partial denture, you will need more time to adjust to the new full denture. It can take 3 to 6 months for soft tissue to heal and reshape itself fully after an extraction. Many times, a denture is made before this time period has elapsed. Expect to have more sore spots and more adjustments before the denture feels comfortable. You may also expect to have the denture relined after a few months to compensate for that tissue change.